If the surroundings are designed to be sufficiently stimulating, even a simple computer screen is enough to generate an intense cinematic experience. After observing some 300 study subjects, researchers at the Institute of Psychology of Johannes Gutenberg University Mainz (JGU) in Germany concluded that the angle of viewing does not play a vital role in the cinematic experience, thus disproving various hypotheses. According to the results of their study, the presence of so-called contextual visual cues plays a greater role in actually drawing viewers into a movie. When the researchers gave a computer screen the attributes of a movie theater, the test subjects barely sensed a difference between it and a normal cinema with a large screen. Even a cell phone display performed relatively well in a cinematic environment. A visit to the movies is still among the most popular forms of recreation despite the fact that the entertainment industry constantly complains about the impact that illegal copying and downloading has on its business. "You begin to wonder why people continue to visit movie theaters when they can now watch everything at home," said Andreas Baranowski of the Institute of Psychology at Mainz University. It was with this in mind that he decided to investigate whether it was the space itself and the size of the movie theater screen that created a different and preferred movie experience. The test subjects were shown a ten minute excerpt from the film "Gulliver's Travels" in various different environments. Some of the subjects watched the film sequence in a Mainz art house cinema. 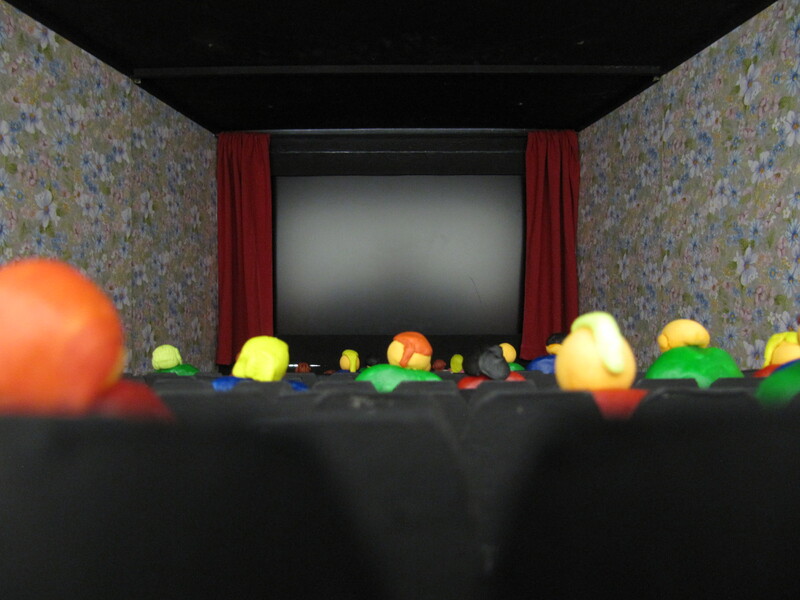 Another group viewed the excerpt on a computer screen alone, while a third group sat in front of a miniature movie theater, which had a 30 centimeter x 53 centimeter screen along with imitation rows of seats with small figurines made of modeling clay, carpets, and curtain props - all designed to create the illusion of being in a movie theater. The final group had to make do with a model movie theater in which the film was shown on an even smaller cell phone display. The findings indicate that the larger the screen the greater the extent to which the viewers are drawn into a movie. So, although the results were best for the movie theater screen, the miniature movie theater with the computer screen was not far behind, only just in front of the model with the cell phone display. "We thus believe that the effect of screen size as a factor is overestimated. It is not significant in statistical terms," summarized Baranowski. 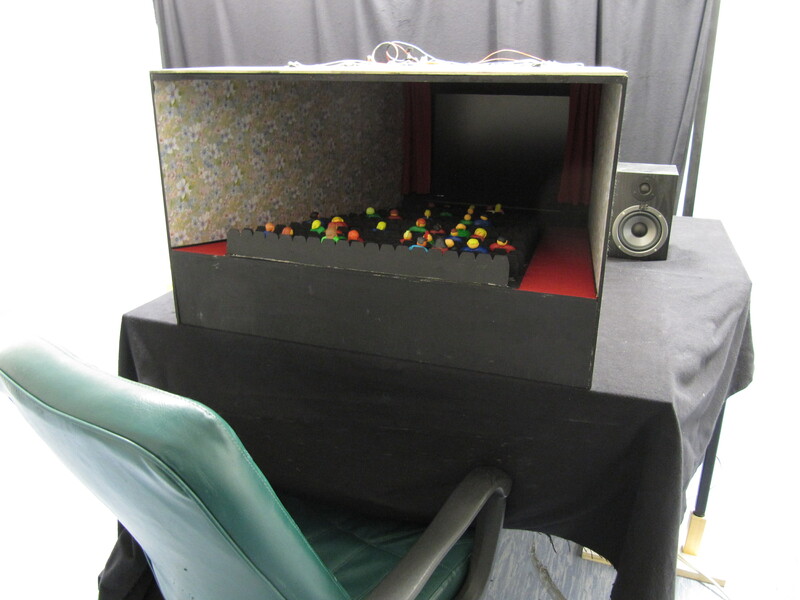 What was significant was the difference in effect between the miniature movie theater and the bare computer screen, causing the psychologists to conclude that the surroundings play a decisive role.